Contouring isn’t such a new make-up technique, however, only lately it gains greater popularity among women, who put on make-up only for some occasions. Last year was all about strobing (light contouring) and traditional bronzer contouring. Lately more popular gets so called colour correcting. What is the clown contouring? How does color correcting work? Color correcting, as name itself states is contouring with colour. To do that, instead of traditional bronzers, we use colourful concealers. This method perfectly highlights natural facial contour and covers all imperfections of the skin. How does it work? We apply simultaneously concealers in different colours, depending on needs of our skin. In areas we usually highlight (centre of the forehead, the bridge of the nose, cheeks) apply concealer in green and yellow shades. Green concealer will be also great to cover pimples and redness. In eyes area apply orange concealer, or red if you have large dark circles around eyes. In the areas that we traditionally bedim, apply beige or brown concealer. 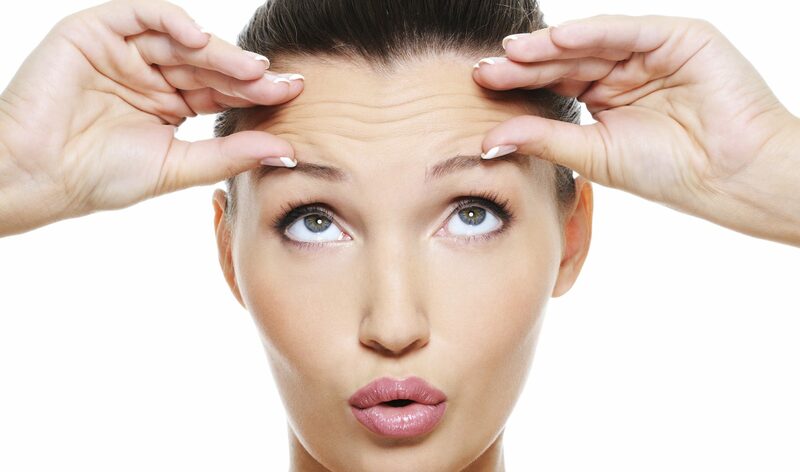 On the top of the forehead put on some violet concealer and on the cheeks make pink circles to create blush effect. Could face contouring effect be achieved with use of colours? Make-up Vloggers assure us that it is possible. Color correcting is supposed to be effective, natural and lighter for our skin. It all depends on proper colours placing and then their blending (best with beauty blender) in a way that their edges blend perfectly with our skin and create a natural smudge effect. The most important part of contouring is to blend colours until they melt into the skin and we achieve natural effect. Where does the idea of using concealers instead of foundations, bronzers and highlighters came from? Color correcting is a trend started by 17 year old Vlogger from Tiana Cosmetics channel, Tiana comes from Vancouver. Tiana is testing cosmetics, creates make-up guidebooks and teaches make-up. 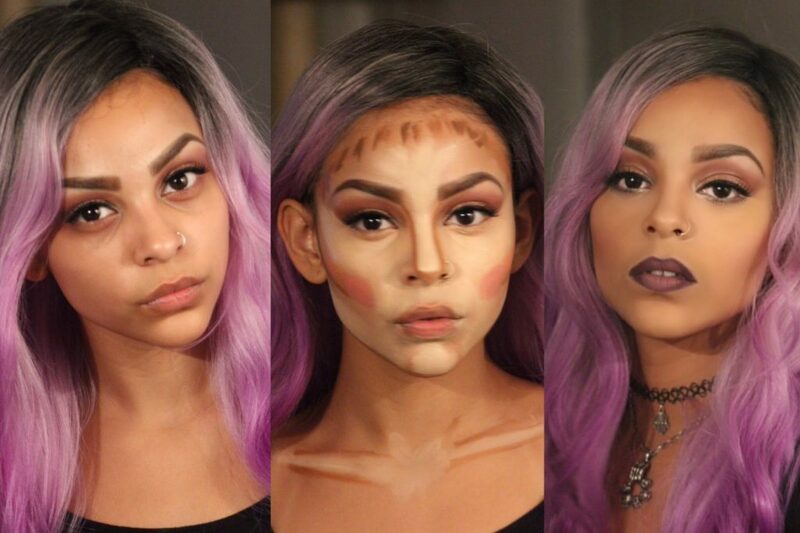 In one of her videos she presented alternative method to the traditional, heavy contouring; she used only colourful concealers. Tiana proved this way that color correcting can easily replace thick layer of covering foundation, bronzer and highlighter.